What is w3pedia.com? What is w3pedia.com? Follow the links on the w3pedia homepage, we've collected most of the things you'll need to get started. Simply pick your subject and open the book and read or watch the subject you need to know about. How do I use w3pedia? w3pedia is just like using a search engine to find what you're looking for on the web. Simply add a word, term or phrase of what you're looking for and w3pedia will bring you the most relevant article related to your enquiry. Download the appropriate InDesign templates to start your design from. Save as a high resolution PDF from InDesign - no template guides to be on final PDF. If they are on your final PDF they will print! Colour matching between vector and bitmap elements. Place the vector and bitmap artwork combined into Photoshop instead to create one bitmap image. You can have vector text and elements, just don't try to colour match them to a bitmap. Respect the Quiet Zones (blue shaded area below). Fabric stretches and shrinks (different amounts in different directions) during the production process so there is less accuracy compared to paper. Frosted or etched windows are delightfully elegant. They look like your windows have been sandblasted. Particularly pleasant and understated for period properties. Like decals, choose the areas you want to be cut-out. Supplied pre-cut on backing paper. Window Panels are rectangular and have shapes cut out of them, similar to the MGF logo on the left. Window Decals are cut-to-shape, similar to the MGF circle and logo on the right. Any areas that require frosted vinyl should have a 100% Magenta fill and any areas that are to be discarded should be blank or white. Do not include any other colours in your artwork. Your file should be supplied at 100% size with no bleed. There aren't templates for this product as window sizes are bespoke. Just set the page size in your chosen graphics application. You need to supply .EPS files, these can be produced from all the major graphics packages. It is important that all edges are defined within the artwork and that any strokes and fonts have been outlined. Do not place duplicate lines, text or shapes that sit on top of each other. Designs can sometimes be abstract and there is an option to face or reverse apply the vinyl. Your finishing notes within your job will indicate this and your EPS file should match. Etch on face: Etching on the face means the back of the graphic sticks to the glass and artwork is supplied right reading. To avoid any issues or confusion over orientation we put the responsibility on the supplying studio to have reversed the file before sending to production. This product is not supported by FileCheck so 021 is not available. Artwork will need to be self validated against these guidelines. How to create Products that you produce in-house or outsource. Please review the guides before creating your Products to avoid this list of common mistakes. These guides MUST be followed exactly. Unfortunately we will not provide any assistance were a product has been created using a Workaround to achieve an outcome that is not intended or described in the articles below. Overview: How do I add products for w3p? A quick guide to creating Products and Product Groups. To create a New Product go to Workgroup > My Products > Products > Add New Product. Then enter your Product Details. You'll need to give it a name, choose your product kind (see below), size and colour type. 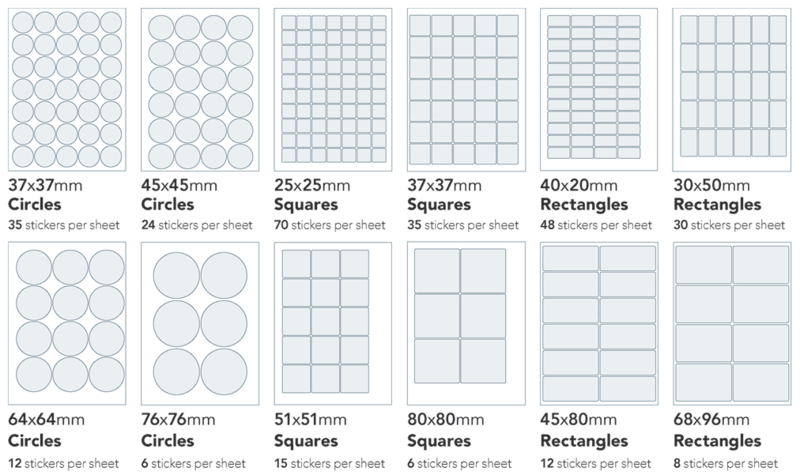 Sizes are broken down into groups, with all A sizes like A4 and A5 in a group of all A-size flat products. If you can't find the right size for you, choose other sizes then custom size to enter your own size. You can also allow customers to choose their own size using an any size product. The colour choice decides how many pages are available for the file and what colours should be expected, more details on colours can be found here. Product Groups group together similar products, such as A4, A5 and A6 130gsm Gloss Leaflets. We recommend naming the products within a group consistently to help both you and your customers. The quickest way to create your products is to create a single sided product first using the Full Colour Front Colour Type, then select Duplicate Product under Sorting & searching to create a double sided version (Identified by 4x4 in the above example). Use Duplicate for all additional sizes and adjust your prices accordingly. Remember to also change the Product Name, Colour Type and Product Size (under Technical Specification) for each new product you create/duplicate. Each product you create has a product kind. You have 5 types to choose from each with different features. The product makes a physical printed good. Electronic file The product makes an electronic item, like a press advert or graphic design. Doesn't make a physical item, but requires a graphic file. Stock pick item The product has been pre-produced, for you to pick and pack to your customers. Physical item that doesn't need a graphic file. Uses the Stock Manager to control stock levels. Service The product is a service, like consultancy or training. It's not a physical item and doesn't require a graphic file. Can be used for Flyerlink's invoicing and TimeTracking features. Product Group pages display products by Size and Colour Type. If two Products share the same Size and Colour Type, Leaflets and Flyers for example. Product tags must be used to display them correctly online. Your product will not show online if the purple Substrate Tag is missing. Each tag takes the customer down a different route to find the product they are after and should be unique. Click here to view this page live. When creating a Product you are asked to set customer permissions to ensure the correct people can see your product. Only the Customer Account Codes you add to the list can see this Product. Set your Customer permissions to Workgroup and use the Availbale Products Filter under Categories & Microsites to make specific products available to all customers in your selected category. This option makes your products available to every Customer, Category & Microsite in your Workgroup. Use the Available Products Filter on the Category & Microsite page to make specific products available to customer in this your Category/Microsite. Once completed ensure you select the green ‘Make Product Active’ button, products that say ‘building' next to the product name and product code are not active. This screenshot gives you a sense of how these products appear under Workgroup > Production > My Products once completed. There's an online tutorial video under Online Training > Production here, which gives you an overview of this process. Below is a training video cover creating products InHouse using w3p. Use this guide in conjunction with the Flyerlink User Guide on w3pedia - Creating Products, page 87. 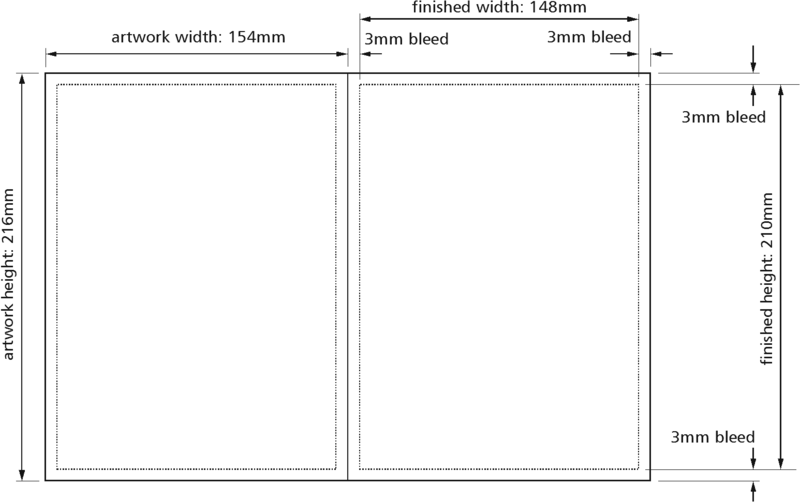 Choose the correct Product Size for your product and pay careful attention to the bleed required. Use the correct Customer Permissions for w3shop, w3client and BrandDemand. Make your products available online using the Available Products filter under Categories & Microsites > Available Products. This article gives advice for making the most of Product Groups. Each Opensource product you create will belong to a Product Group. Flyerlink will help you select a Product Group, by only showing existing groups for the type of product you select. If you choose "Mini Brochure" you'll only see Folded Leaflet Product Groups. Product Groups are used to group together similar types of products. 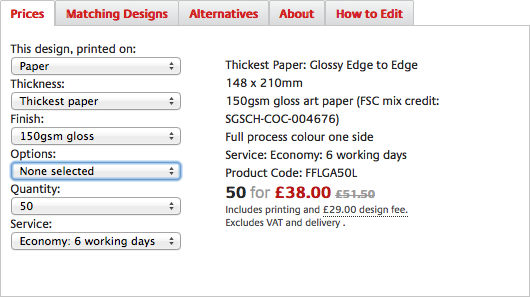 We recommend naming Product Groups after the Substrate Weight (130gsm), Paper Stock (Gloss) and Product Type (Leaflets). On Workgroup > My Products > Product Groups > View/Amend you have various options for how you describe your product groups. ou can choose a product group url-slugs, add a description and provide some google-friendly meta titles and meta descriptions. The url-slug generates a new product group page for Opensource products. The price grid is automatically constructed using the product prices. Each row shows the product size and colour type. The Quick Quote uses tags (see Resource Article 4977) to help users find what they're looking for. The images also come from those you upload to your products. Finally, the Product Description comes from your product group description. For each Category with an associated microsite, you'll see a menu option Workgroup > Customers > Categories & Microsites > Available Products. This option will not appear for printing.com studios. By default all products are available. Select only the Product Zones, Product Categories and Product Groups you want. If you choose a Product Zone, you will list ALL products within that zone. Should you restrict the product selection, you'll also need to re-add all the Opensource Products you've set up. By clicking the "edit pricing" link, a pop-up will show allowing you to adjust the prices for that Product Zone, Product Category or Product Group. You can make changes for a fixed price, or for a percentage of the price. You can start making adjustment from the products Selling Price, or RRP. Or you can choose to adjust the price from the Transfer Price, which is how much you will be charged for the product. Remember any negative changes to your Transfer Price will be below cost. Price changes for Product Groups or Product Categories over-ride those within the Product Zone. So you can increase all Flyers by, say £10, then choose one Product Group to increase by £20. For Product Groups only, you can also change the descriptions your customers see. Simply click the "edit description" link. Starting from your supplier's marketing, you'll be able to adjust the Product Group name, url-slug, description and Search Engine Optimisation settings to fit your branding. Any changes to the text will appear on your microsite. Where do my price changes affect? Your price changes and product restrictions apply across Flyerlink and your microsite. In Flyerlink, any customers belonging to the microsite will only be able to create jobs for products that are available. 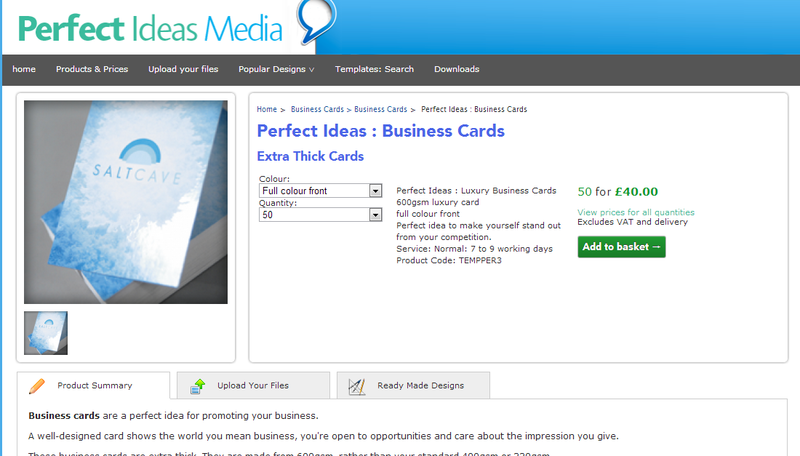 If you've removed Business Cards, your client will not be able to order it through Flyerlink. On your microsite, only the Product Groups you've selected will show online, and your price changes will show across the site. You will also only list Templates compatible with products you've made available. Price & description changes can take an hour before they are fully updated on your site. Templates will update every day, but you may have to wait for all the incompatible templates to disappear. Please refer to Resource Article 4982 for any question on update speed. This article explains how to link Products to Templates. When you build a Template via Workgroup > Templates > Create. You're asked what Product Size & Colour Type you want. Every Product in Flyerlink also has a Product Size & Colour Type. For a Product to be eligible to a Template, the Product Size & Colour Type need to match. Product Types are groups of Product Sizes to help you find an appropriate size. If you can't find the Product Size you're looking for, you may need to change the Product Type. Flyerlink has hundreds of Product Sizes to choose from when you're building your Template. But if your Template and Product are of an irregular size, or you can't find the right Product Size; you can chose a Custom size. When you build a Product, the Custom size option enables you to add your own height, width and bleed. Once you've chosen your Product Size & Colour Type. You need to choose how many Products you want to be available to your Template. By default, all Matching Products will be mapped to your Template. However, you can also restrict to just a few Product Groups, Product Categories or Product Zones. When you build a Product via Workgroup > My Products > Product > Create, you need to choose Customer Permissions. You also need to choose Customer Permissions on your Template via Workgroup > Templates > View/Amend > Customer Permissions. Provided there are matching Customer Permissions, you'll be able to see your Product in the filter for which products are available for your Template. Link to: Creating your products on Flyerlink! This link takes you straight through to how to where you can start building your products within Flyerlink! Printed + stock pick items and stock pick items product kinds allow you to manage stock levels and prevent people being able to order products that are not in stock. The stock availability of the product will show when you create a job or order in Flyerlink. It also shows online to customers when they order. The stock is only reserved when a job goes to status 081 and not when you create a job. If stock levels change before that and back ordering isn't allowed, you'll only be able to order stock that's available. Stock that's on order can be claimed by 081ing a job with stock that's available including what's on order, but only what's in stock will have our normal turnaround applied. The stock is managed via the stock manager via Workgroup > My Products > Products > Stock Manager. The main purpose of the stock manager is to help you adjust stock levels. Stock levels can be shared between multiple products. Awaiting picking shows how much of the product has been ordered and is ready to Pick"n"Pack. You can reduce this by despatching jobs that are awaiting picking. The available column shows how many products you have in-stock minus the amount awaiting picking. When you chose the Order more stock (+) option, a pop-up window emerges asking for your re-order quantity. 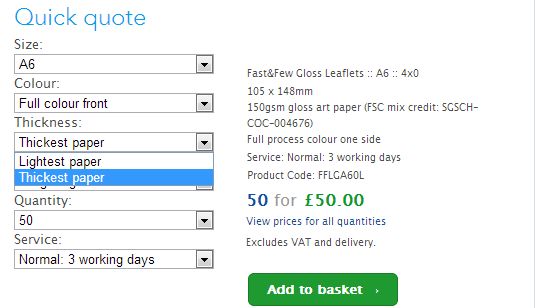 You then place an order, and will be given a pre-filled email template you can send to your supplier. If you've set up an auto-replish job, the order more stock option will create a new job for you instead of giving you a pre-filled email template. You can also change the stock levels by Manually adjusting stock using the Adjust stock? link. There are 7 options to choose from, which allow you to either increase or decrease your stock level. Some options also allow you to show Stock in transit, that you've ordered but haven't arrived yet. If the stock is In Transit, you'll need to book it in once it arrives. Decreases stock when Despatched to customer. 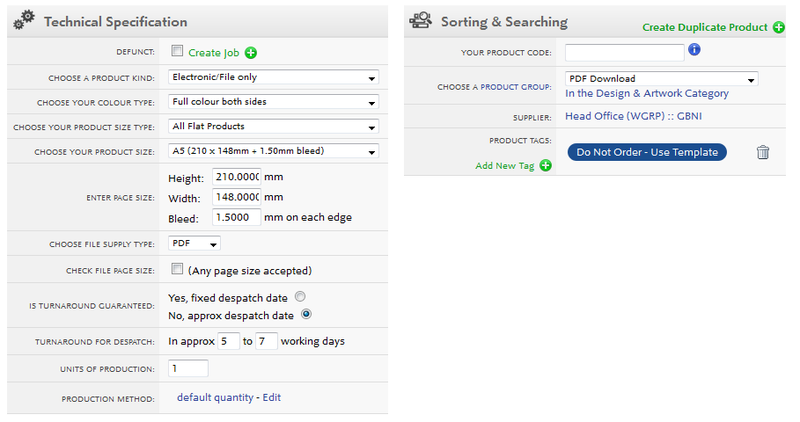 In the Parts section, you can add details to help you locate your stock when orders are ready for despatch. Then when you despatch the order via Workgroup > My Products > Pick"n"Pack or Production > Dashboard > Jobs to Despatch, you'll see the part location. You can also add more parts for complex orders. Flyerlink can automatically create new jobs when you order more stock. Simply add a previous order for the stock you want. Then a new repeat job will be created when you order more stock from the supplier. Once the available stock is less than the minimum stock level (available stock includes whats in order and physically present). A reference of the automated reorder job is stored in your stock history. The allow back order option allows you to choose whether customers can order you stock while you're stock levels are less than 0 or not. If allow back order is ticked, customers can order the stock whatever your stock levels. If allow back order isn't ticked, they can only order when you have a positive amount of stock available. If you don't want to use the Stock Manager to actively maintain your stock levels, you can simply hide the stock levels from your customers. Then the stock level will be hidden from your clients. This article explains what the different Product Kinds are, and when to use them. Each product you create via Workgroup > My Products > Products > Create has a product kind. The product makes an electronic item, like a press advert or graphic design. The product has been pre-produced, for you to pick and pack to your customers. The product is a service, like consultancy or training. It requires a graphic file to be produced. It also uses the Stock Manager to control stock levels. Main use case is a printed item which has a frame or stock element to it, eg fabric with a frame. The product is the same as a service, like consultancy or training. For Printed items and Electronic files, a job can only be changed to Status 081 when a Graphic File has been uploaded. If there's no graphic file, the Status 081 doesn't appear. You'll either need to upload a file name matching the name and product size in your Workgroup > Jobs > View/Amend > Internal Brief via the FTP. Or add your file by going to Workgroup > Jobs > View/Amend > Internal Brief > Files & Images. 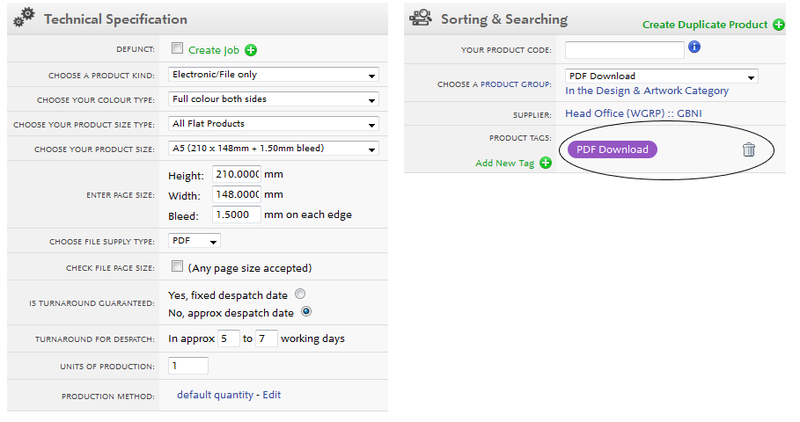 Add a file and choose the FileCheck All button to check the PDF and upload your files to your job. Once that's done, you'll be able to change your Job Status to 081 and send the file to production. Services & Stock pick items do not need a graphic file and can go straight to Status 081. For Stock pick items you are able to manage your stock levels via Workgroup > My Products > Products > Stock Manager. The Stock Manager allows you to adjust the stock levels to match the number of products you have in stock. You can use the Order more stock link to email suppliers and request more of the product. You can also auto replenish orders when your Stock Levels fall below a certain level. This will create a new job of an original order. Finally you can add details about the location your stock is kept at, which appears when they despatch the job via Production > Dashboard > Jobs to Despatch or Workgroup > My Products > Pick 'n' Pack. Since Services & Stock pick items do not require artwork, when a customer orders one of these product types they will not see the Artwork Options page on your microsite. However, Printed items and Electronic files need a graphic file. 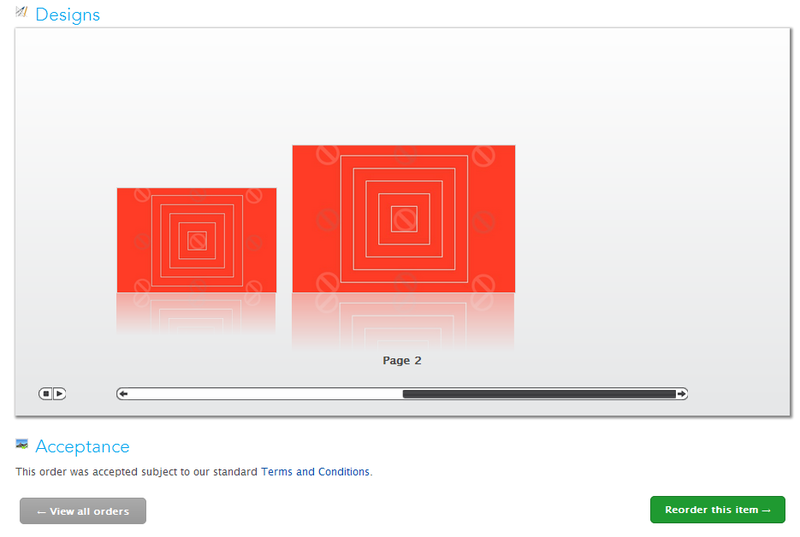 So the Artwork Options page provides customers a choice of uploading their own artwork, or choosing a matching template. 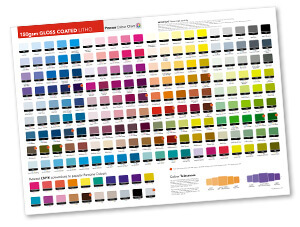 Colour Types are used to create Single Sided and Double Sided products. They also determine the number of pages to be supplied. This options is required if using TemplateCloud Christmas Card designs. This article explains how Product Tags work on your microsites, and why they're useful. When you make products via Workgroup > Production > My Products, you may have noticed a Sorting & Searching Section. The highlight of this section is the ability to add Product Tags. These help users distinguish between your different product options. 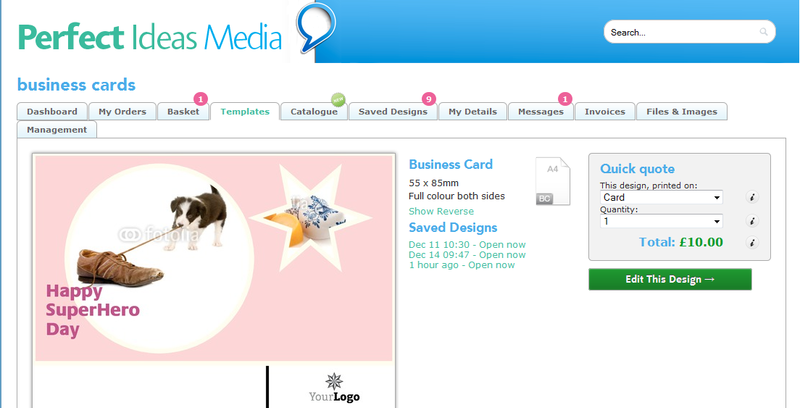 Please note: While on templates and the personal catalogue you can get away with just having 1 blue product tag. You need to add Substrate, Substrate Weight and Product Style to show on product group pages and your configure your printing page. Suppose you set up a Template for a customer, and it has two different products associated to it. Without any Product Tags it is impossible. They'd need to have different sizes or colour types, but then they wouldn't work with the same template! This tagging system is how all products are distinguished. How many tags should I use? These provide different choices for users on the Quick Quote. 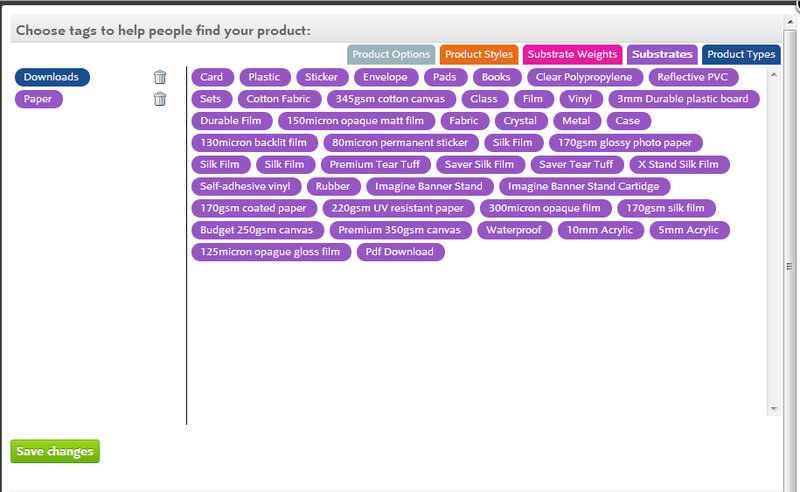 You can add as many Product Type Tags and Product Options Tags as you want. But only 1 of each of the other types. Provided there is at least one difference in the tags, the Quick Quote will be able to tell the two products apart. There is a hierarchy to tags. The Quick Quote looks up Substrate tags first for the Printed on dropown menu. The Thickness dropdown uses Substrate Weight tags and the Finish uses Product Style tags. Adding a Product Style tag without a Substrate tag will confuse the quick quote. 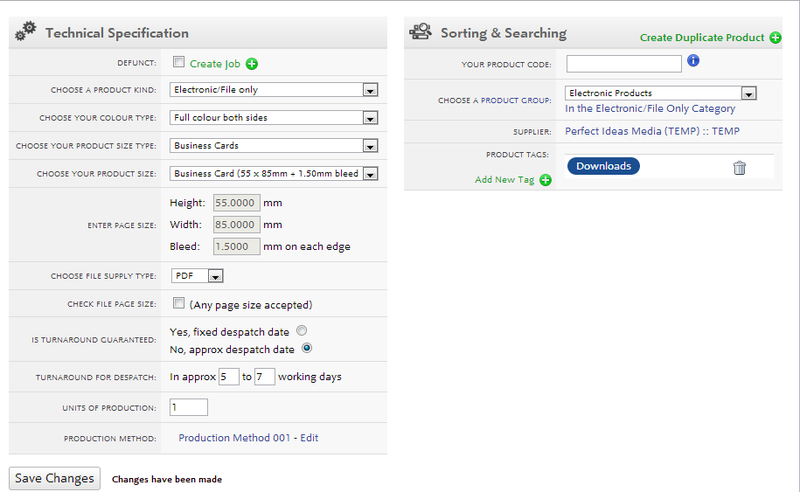 Each Product Type Tag you add will list your product in another folder option on the Catalogue page. You can remove all (Blue) Product Tags to hide your product from the product catalogue. However, you still need Substrate, Substrate Weight and Product Style tags otherwise the product won't show up against a template. Each Product Options Tag is visible as a tickbox on the Configure your printing page. And another product with the same details, the same Substrate, Substrate Weight, Product Style tags BUT NO Product Option tag. Try to avoid Product Option tags, as they can be difficult to remove for users. You can use Product Style instead with as much information in to distinguish between products as possible. Use the product stock as a way to distinguish products using the Product Style Tag. Maybe come up with your own system of what a "Thick Card" or a "Thin Card" is, or use the Product Style Tag as your own brand name for the product. For more great tagging examples check out w3pedia article 5500. Your product will not show online if the Substrate Tag is missing. Both Business Card products use the same Product Tags, the Colour Type (under Technical Specification) is used to differentiate between the two products in the Configure Your printing menu. How to use Product Tags to hide products from the Personal Catalogue. When you complete a job in Flyerlink, your customer can see the old design and reorder it. But suppose you don't want to show your customers the PDF they've made as a reorder? You can hide these files in Flyerlink. It'll no longer appear in your client's My Orders page to be reordered. You may want to hide all the jobs created by one product. Like a design job or a service you invoice regularly. You may just want to reduce clutter from your client's My Orders page. Hiding all jobs from 1 product is simple. Go to Workgroup > Production > My Products > View/Amend for your chosen product. In the Sorting & Searching section, tick "Hide jobs from customers online?" Then it'll no longer appear online. Suppose you want to sell a template to your customers, so you make a new Opensource product for that very purpose. You could give it a product tag of Do Not Order - Use Template. And associate a template to just that product. Then when a client logs in and goes to their catalogue, they see the PDF with a reminder to order from the template. Then they go to the template. But...wouldn't it be better if the Product was just hidden from the catalogue altogether? Well now you can do that. Simply go back to your product, and Remove the Product Tag. Then Add a Substrate Tag so the Template Quick Quote knows there's a product it can show a customer. What you'll find is the product is missing from the Personal Catalogue. But you can still order it from a Template. When creating a Product or Template you are asked to set customer permissions to ensure the correct people can see your product or template. For Templates. Only the Customer Account Codes you add to the list can see this Template. For Products. Only the Customer Account Codes you add to the list can see this Product. For Templates. 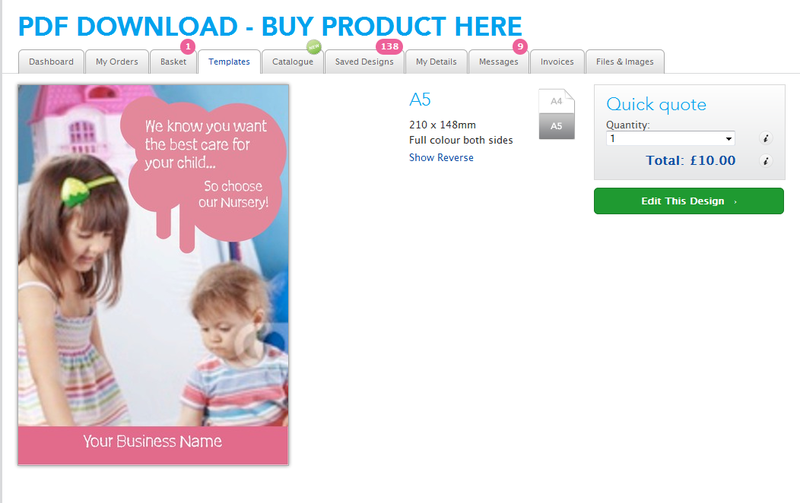 Only the Customers associated with this Category/Microsite Code can see this template (used for w3client and w3shop). For Products. Set your Customer permissions to Workgroup and use the Availbale Products Filter under Categories & Microsites to make speicifc products available to all customers in your selected category. For Templates. Do not use this option for templates. For Products. This option makes your products available to every Customer, Category & Microsite in your Workgroup. Use the Available Products Filter on the Category & Microsite page to make specific products availbale to customer in this your Category/Microsite. This article explains how to use the Product Importer to bulk update your Products. You can use the Product Importer to adjust your product groups, Products, and product options. To start using the Product Importer, go to Workgroup > My Products > Import. The first step to importing a new product range is adding a new product group. Product groups are used to batch similar types of Products together, such as those using the same stock type but different sizes. See w3pedia article 4979 for more info. All products must belong to a product group, so add a new product group first before your next group of products & prices. Start from your existing range. To start from scratch download a blank example Excel file, or click the download advice link. The download template explains what each column does. It lets you know which fields are required, and what defaults will be given if you leave it blank. ... remember to save excel template as a CSV. When you're finished, simply Upload your file. If you're adjusting an existing product group, or making another group similar to an existing group, you can download your product range. This will download all your existing product groups, but because it's a CSV file, you won't get any advice. Delete any rows which you don't need to change - only leave new rows and product groups you want to update. For the Product Group import, you'll need to add a product category code. Once you've added product groups, it's time to upload your Products. You can start from scratch, or from your existing product range again. When you import, only include rows you want to change or add - if you import the whole sheet, it'll take you longer. If an image is already hosted online, add a url to the image. Flyerlink will download the image and use it for your Product. Your Product's production method must belong to the same workgroup as it's product group. Provide your Product's height/width/bleed and a matching size will be selected for you. Add the name of the product tags you want to add, and they'll be added for you. Check out w3pedia article 4977 for more guidance on tags. Your Product code and your prices for the new service level. You don't need to duplicate every detail, just the product code and financial details. You can add permissions to either workgroups, categories or customers. You can use the importer to make new product options, and then to add them to your existing Products. You can start from scratch, or download your existing product options. The import choices available for Product Options are identical to what you'll find on Workgroup > My Products > Product Options > View/Amend. Read w3pedia article 5375 for more tips on how to use Product Options. To add product options to your products, simply download your template or existing product options and add a new line for every option you want to add. To make your Product Option part of a choice group, add an option_group to more than 1 product option. All product options in the same option_group will be visible as a choice to customers and/or your sales team. 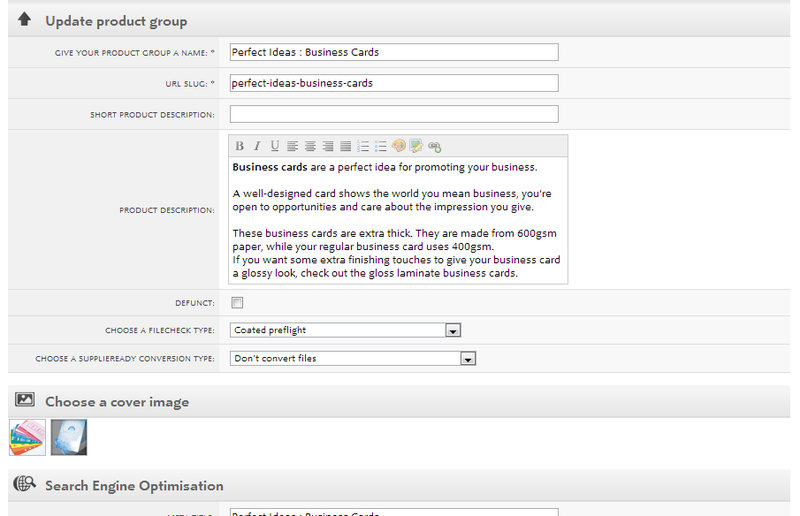 To automatically add a Product Option while making it removable to your sales team, leave the option_group blank. To make a Product Option mandatory, add it as a solo product option in a option_group. If there's only one product option in an option_group, neither your sales team nor your production team will be able to remove the product option. It is advisable to start your mandatory product options using an option_group letters from the end of the alphabet, eg Z,Y,X. To remove a product option, change remove_option from 0 to 1 on an existing product option. For more on adding product options to your products, see w3pedia article 5382. The product importer is designed to work with Comma Seperated Values using the Unicode (UTF-8) character set. If you're products will make extensive use of accents and special characters, we recommend opening your file in OpenOffice or Google Docs. This will ensure your characters are preserved during the download and upload of your products. This guide explains how to add Product Options to your Products. Product Options can be used to provide a choice of finishing or styles. Or a choice of how Products are folded. They can also be used as an additional Production Step. Where do Product Options appear? Product Options show in the Configure your printing menu, when you add your product to the basket. Go to Workgroup > My Products > Product Options > Create. Give your Product Option a name and choose it's Product Option Category as a way to group similar Options together. Then on Workgroup > My Products > Product Options > View/Amend you can customise the Product Option to your heart's content. In the Description Section you can add notes and images about the Product Option. The Production Instructions appear to your Production Team in Production > Jobs > Notes > Finishing. 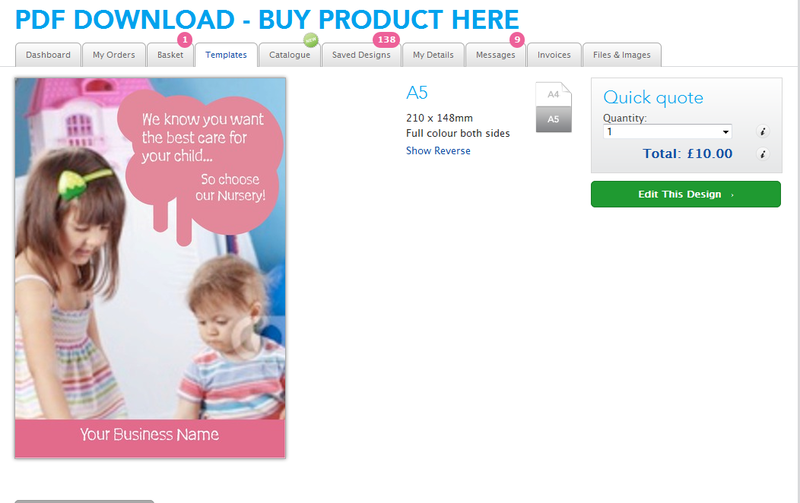 You can also upload an image of your Product Option, that appears to your Customers, Sales Team and Production Team. In this section you can change the Product Option Category, and choose how much of the Product Option is needed before additional costs or transfer days are required. The Units of Production can be increased to change how much each Product Option costs when large amounts of associated Products are ordered. The Adjust Turnaround options allow you to add additional turnaround times to your product. You can use Adjust Turnaround By to set additional turnaround times for all jobs using the Product Option, or you can add additional turnaround days when large job quantities are ordered using the For job quantities upto choice. In the Financial section, you can add how much it costs to produce and how much you charge your customers. The Selling Price is how much it costs your customers, and Transfer Price is how much you pay Grafenia for the Product Option. Transfer Prices are only used for products supplied by HubM. You can ignore them. This section shows you which products this Product Option is used on. You can add more Product Options to Products via Workgroup > My Products > Products > View/Amend > Options > Add. Go to Workgroup > My Products > Product Options > Product Option Categories to edit your Product Option Categories. 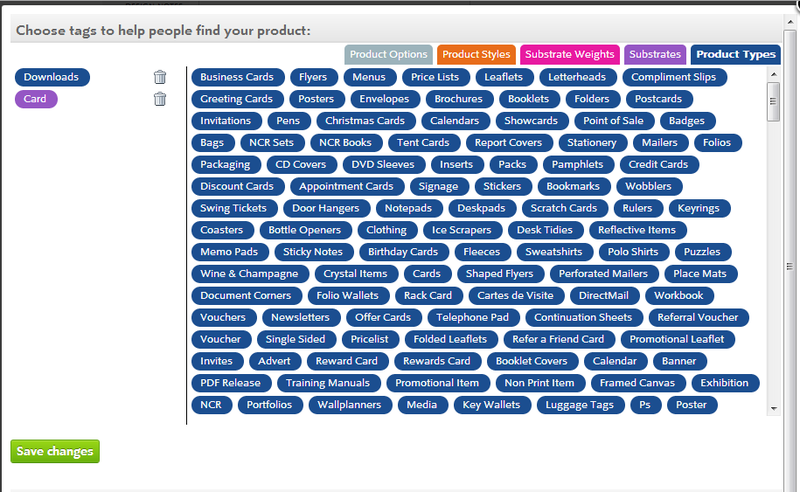 Product Option Categories are used to group together similar Product Options. If you have a choice set of Product Options that will apply to multiple Products, you can add them to the same Product Option Categories to help you remember them all when you add to Products. View the Product Options associated to a Product on Workgroup > My Products > Products > View/Amend. Then add more on Workgroup > My Products > Products > View/Amend > Product Options > Add. Choice - Allows customers one out of a set of finishes. Optional - Automatically added to jobs but can be removed via Workgroup > Jobs > Notes > Finishing. Mandatory - Automatically added to jobs and cannot be removed via Workgroup > Jobs > Notes > Finishing. A Product Option will be mandatory if there is no alternative in their Option Group. If Free of charge is ticked, the Product Option financial details will be ignored. Otherwise each job will have a revenue line for the Product Option. If Include in turnaround is ticked, the Product Option turnaround details will be added to the product, making the turnaround time longer. If Show on Website? is ticked, customers will see the Product Option. This is advisable when there is a Choice of options, but not for Mandatory options. If Only show for Production is ticked, the Sales team will not be able to adjust the option via Workgroup > Jobs > Notes > Finishing. Products in Flyerlink can allow customers to choose any size. Any size is especially useful for large format ranges of banners or the fabric display produced by Grafenia. Choose the "Other sizes" group and then "Choose your size"
When you make a product with this size, you'll see new options for a minimum size, maximum size and default page size. Your minimum size is the smallest possible size you can make with this product code. The default size is the size a client sees by default. We recommend using 1000 x 1000mm ( 1 m² ). The default size is also used as the lowest possible price point, so you can include a size that covers all your set up costs for the default size. The maximum size is the largest possible size a client can order. Pricing for any-sized products is based on per m². A job of 2000 x 2000 mm will make 4m². We will then multiple the cost you enter for each product by 4 to get the price for that job. If a job is ordered with a size that's smaller than your default size, we will still charge the client for the default size to cover set up costs. On a job, the price is recalculated after a size is entered and saved. Once you've created a product that allows any size, you can create a job with that product code. When you do you'll see an any size option that lets you choose between the minimum size, default size, maximum size and custom size. If you choose a custom size, you'll be able to enter your own size. You'll see what the size you've chosen works out in m². When you save, we will then recalculate the prices for the job. Remember to save a job to see the new price. It's also possible to order any size products online. When someone views an any size product, they'll see a popup that asks what size they would like to choose within your minimum and maximum range. 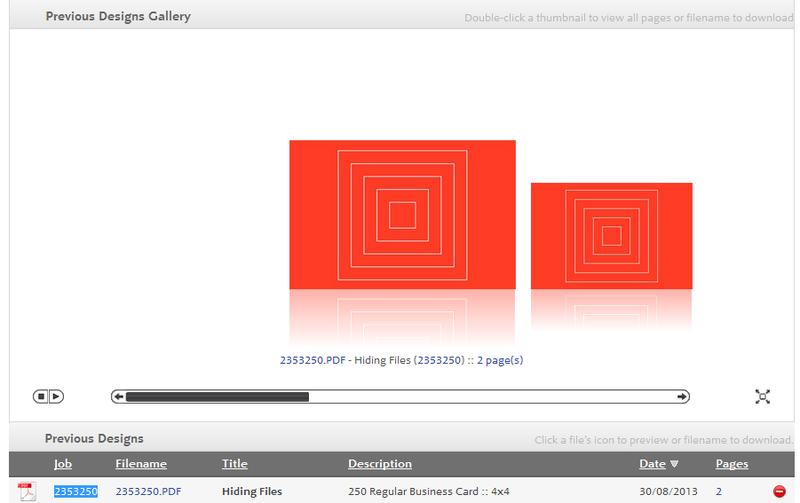 They can adjust the size within the configure your printing page, product group page, and personal catalogue. Any size products are not available for use on templates. For batch litho print, it's more efficient to let customers order products in batch amounts that can be ganged together and produced with similar jobs in a single run. However, for other forms of printing, such as digital, you may want to allow customers the ability to order jobs in any quantity. This approach is possible through Flyerlink. In the Technical Specification section, tick "Allow any quantity:"
Then choose the unit you want to start from, and the batch quantity. This can be from 1 to 1 if you want any quantity to be available, or you can use batches of 5, 25, 50, 100, 500. The note after your tick box will explain what quantities will then be available. The any quantity batch you use must be divisible by your units of production, and it's the units of production that you use to enter your prices. Anything ordered upto the first Units of production will still cost the same as the first batch. This is because often the set up costs for a job are the same regardless of what quantity is ordered. Any quantity ordered above the first batch will then show the in-between price. Then add the closest batch + the in-between price of the two batches. If 16 was ordered, it would cost: £30 + (6 * £2) = £42. When you create or modify a job in Flyerlink that has any quantity activated, you'll see the first 100 inbetween in the quantity dropdown menu. If you need to order any more, you can choose "Other quantities" and choose your amount. This "Other quantities..." option also shows whenever a customer has the option to choose this product online. For the product group page, we merge together multiple products. It's possible to show upto 2 clauses to the customer, such as "Enter quantity from 10 to 75 (in units of 5) or from 75 to 750 (in units of 25)"
However we only show a maximum of two to avoid confusion for the customer. If you're having a product that gets merged with lots of quantity breaks, try to make things as simple as possible by keeping the batches as similar as possibe. This articles explains how you can quickly remove templates or products from your w3shop/microsite. On your microsite, you can use the Available Products filter to choose exactly what products you want to show. But there's another way you can restrict the TemplateCloud Designs or Products on sale for your w3shop. All w3shops can list the TemplateCloud Design library, they just need to have "Allow TemplateCloud Designs? :" ticked on Workgroup > Customers > Categories & Microsites > View/Amend. 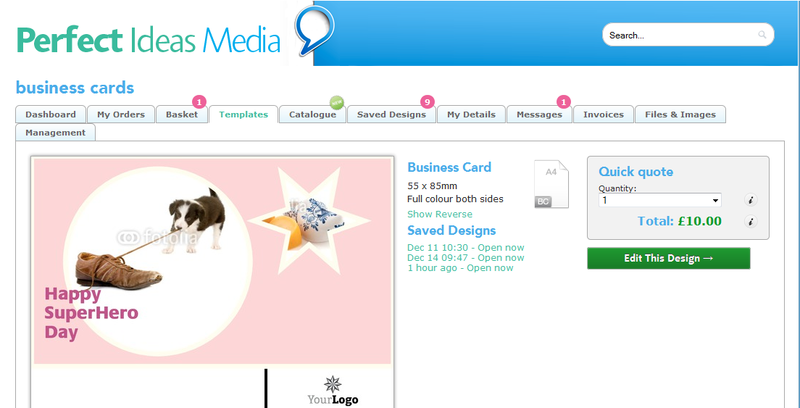 Then your Template Search page type will list all TemplateCloud Designs with a Matching Product.